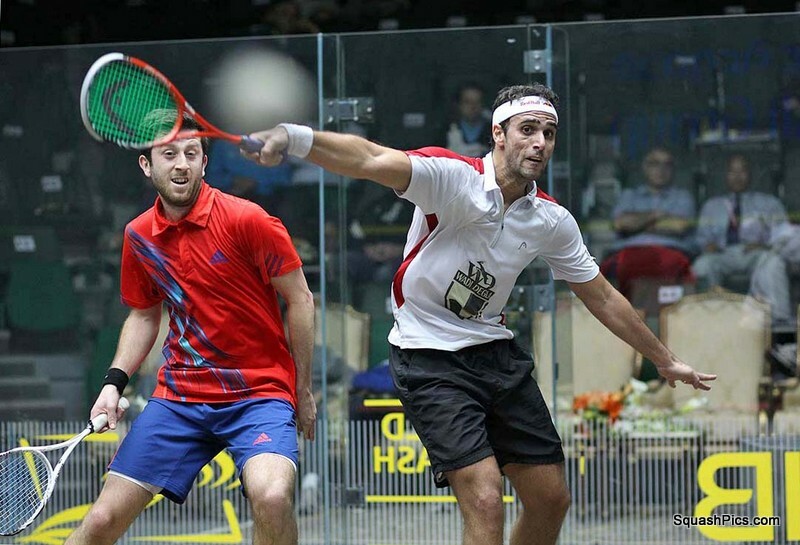 Borja Golan upset sixth-seeded Englishman Peter Barker in today’s third round of the Qatar PSA World Squash Championship in Doha to become the first Spaniard to reach the quarter-finals of the premier PSA World Tourchampionship for 20 years. 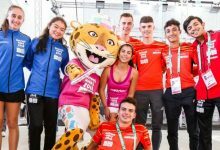 Londoner Barker, who retired injured during last week’s Hong Kong Open, was clearly still suffering the effects of his pulled hamstring. 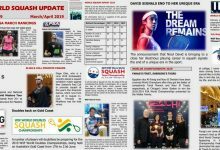 But Golan meant business from the outset and, despite dropping the second game, was largely in control of the clash which he went on to win 11-7, 4-11, 11-3, 11-3 in 45 minutes – denying Barker a quarter-final berth in a PSA World Series event for the first time since December 2010. “I’ve played Peter since we were juniors and I know how tough he is,” said a jubilant Golan (pictured below with Barker) afterwards. 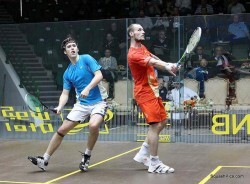 “I don’t think he was 100 per cent because he had a problem with his leg, but I tried to be focussed on my game. 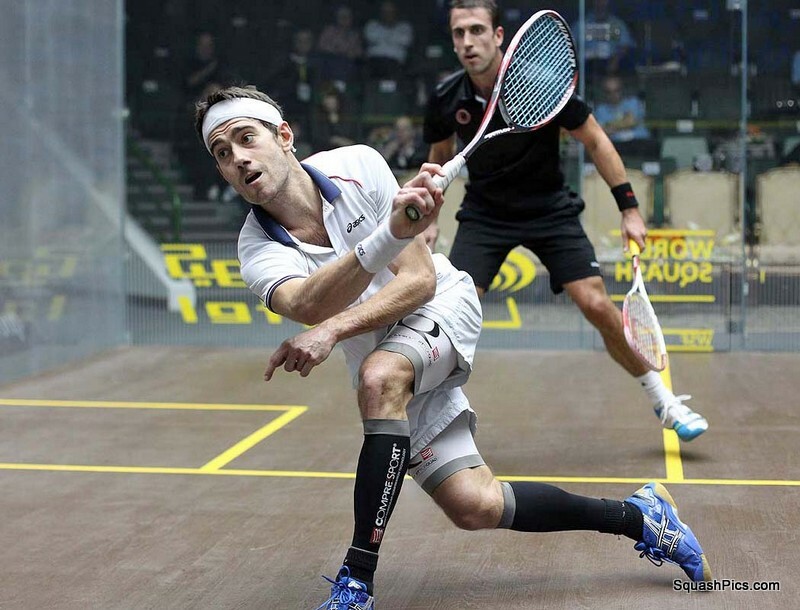 “In the second game I was not patient,” added the 29-year-old world No13 from Santiago de Compostela. “I tried to play from the front, and when you give players like him a chance they don’t let you back into it. 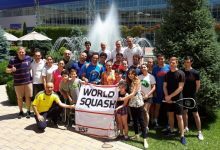 Austin Adarraga was the last Spaniard to reach the world quarter-finals – a feat the former world No11 achieved in 1992, before going on to reach the last four where he went down to the legendary Pakistani Jansher Khan. 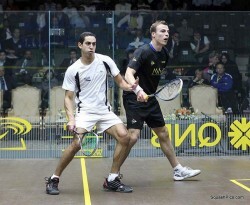 Golan will now face top seed James Willstrop. 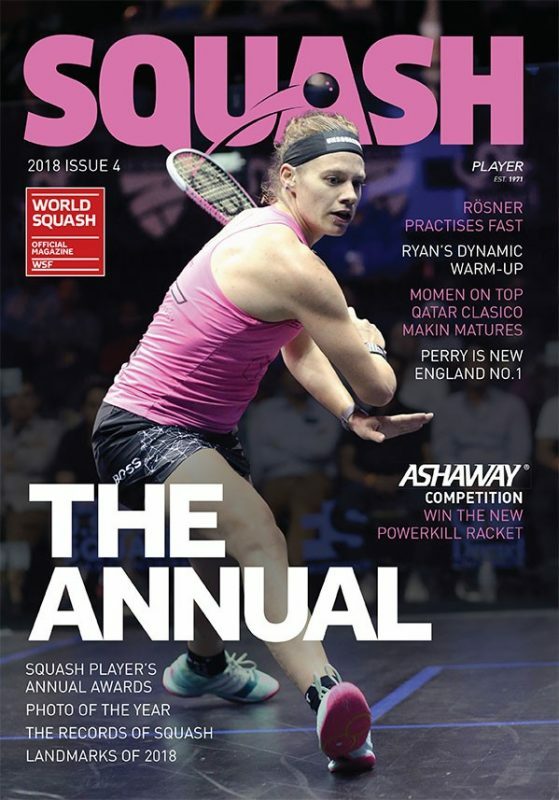 The world number one from England beat his Pontefract club training partner Saurav Ghosal, the Indian number one, 11-6, 11-7, 11-2. 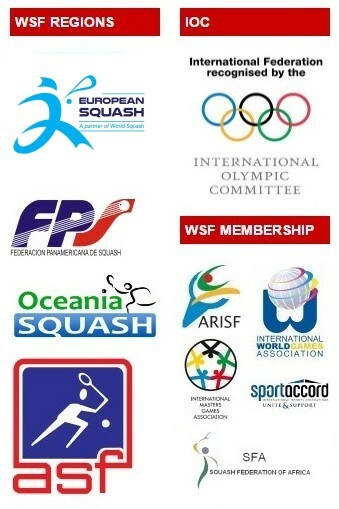 There will be Egyptian interest in each of the other three quarter-finals. 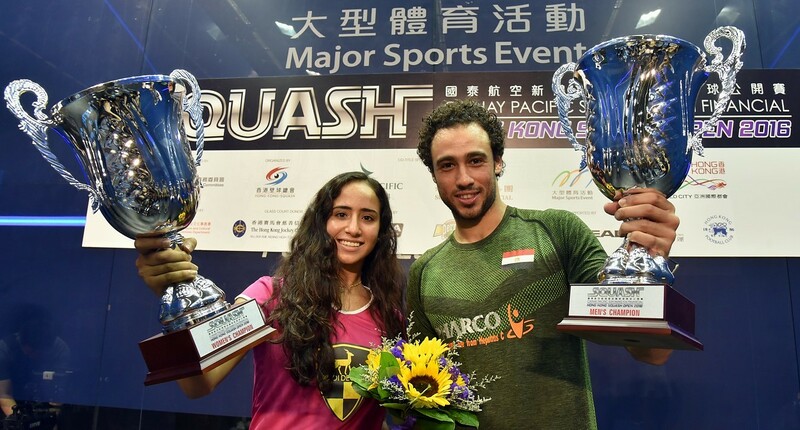 Ramy Ashour, the 2008 champion who arrived in Doha fresh from winning last week’s Hong Kong Open, was taken to tie-breaks in the first two games against fellow EgyptianOmar Mosaad before overwhelming the tenth seed in the third game to open up a 2/1 lead. 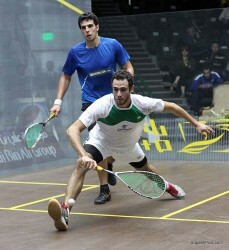 At 10-8 and match ball in the fourth game, fifth seed Ashour took a bad fall in the back hand back corner of the court. 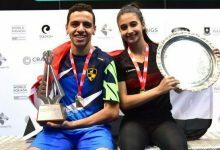 The 25-year-old from Cairo immediately emerged unscathed, but quickly faced two game-balls against him before finally surviving 11-13, 12-10, 11-2, 14-12 after 76 minutes – a win which stretched Ashour’s unbeaten career record against Mosaad to ten matches. “He played superbly,” responded Ashour when asked to comment on the battle with his Heliopolis club-mate. “I had so much pressure. All credit to him. 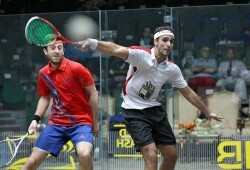 “I felt pressure from the tournament and from myself. I still have a lot to learn. 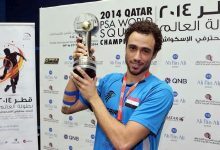 Ashour will now play Frenchman Gregory Gaultier in their fourth world championship meeting since 2005. 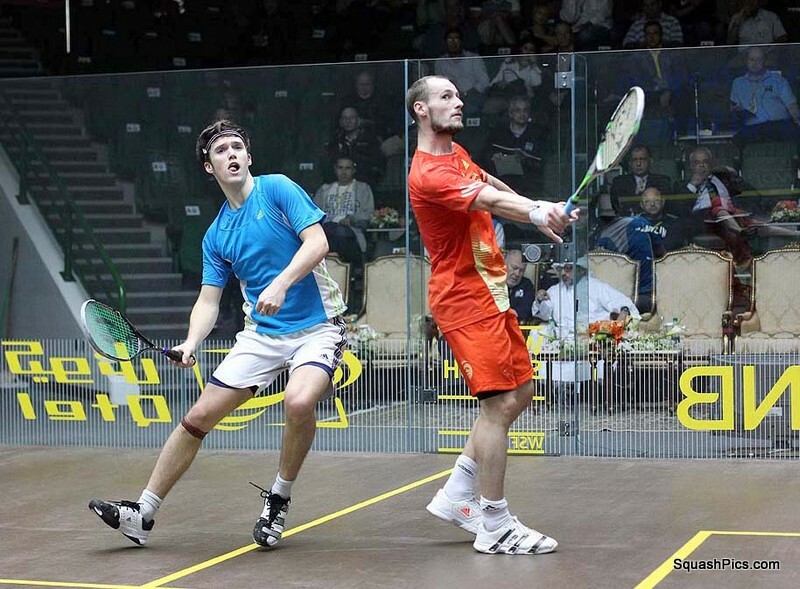 The world No3 from Aix-en-Provence, three times a runner-up in the event, ended Chris Simpson‘s impressive run, beating the unseeded Englishman 11-7, 11-6, 11-4. 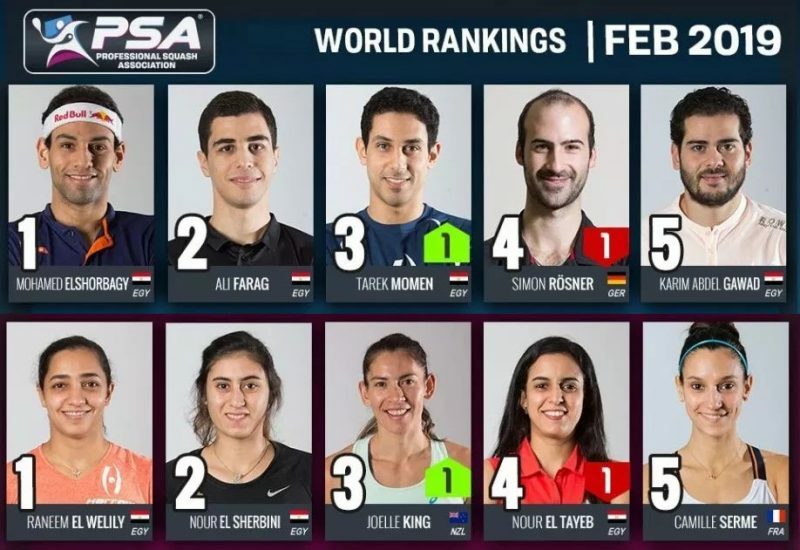 Earlier in the day, 21-year-old Egyptian Mohamed El Shorbagy beat Australian Cameron Pilley to not only celebrate his third quarter-final appearance since 2008, but also clinch his place in next month’s ATCO PSA World Series Finals. 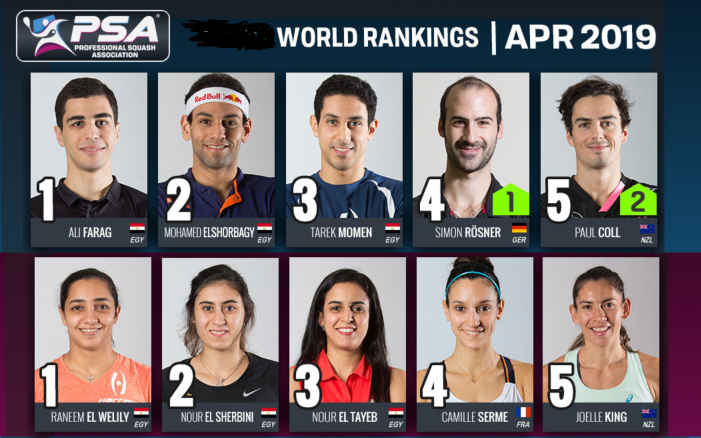 Eighth seed El Shorbagy will meet compatriot Karim Darwish, the No4 seed who defeated England’s Daryl Selby 11-9, 13-11, 10-12, 11-9 in 80 minutes. 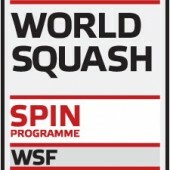 Two contrasting third round matches concluded the day’s play: Defending champion Nick Matthew, the world number two from England bidding to become the first player since Jansher Khan to win the world title three times in a row, defeated Egypt’s Tarek Momen 11-8, 11-9, 13-11 in a hard-fought tussle – whereas Egypt’s four-time champion Amr Shabanatook just 17 minutes to earn his quarter-final slot when opponent Alister Walker retired injured with the score at 11-4, 9-3. 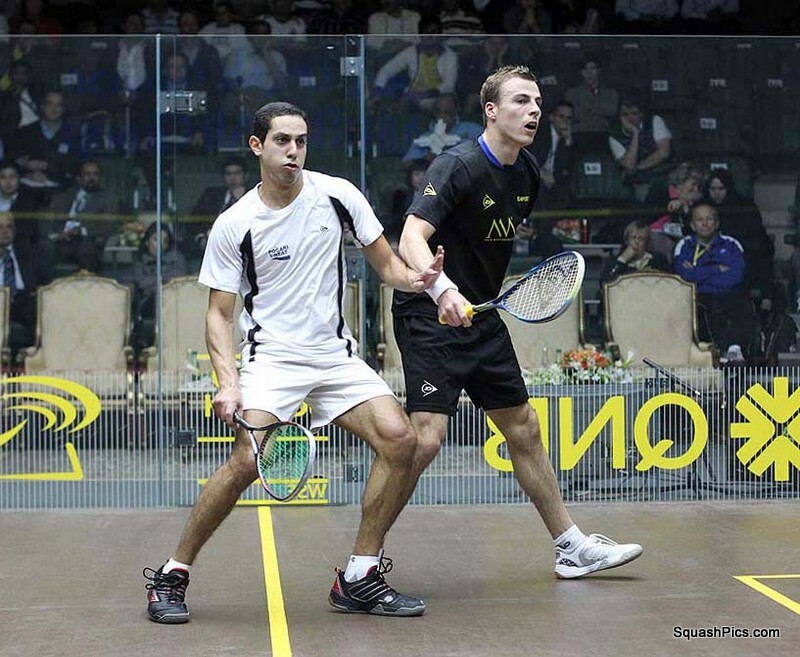 Matthew himself described the match on FaceBook: “When we get down to the last 16, it’s bound to be hard matches, and Tarek beat me here last year, so a 3/0 win – even if it was close to the hour – is better psychologically than a shorter 3/1. Don’t ask me, that’s the way it is!